This church, designed by George Goldie (1798 - 1868), is a monumental piece of national importance in an Italianate style. 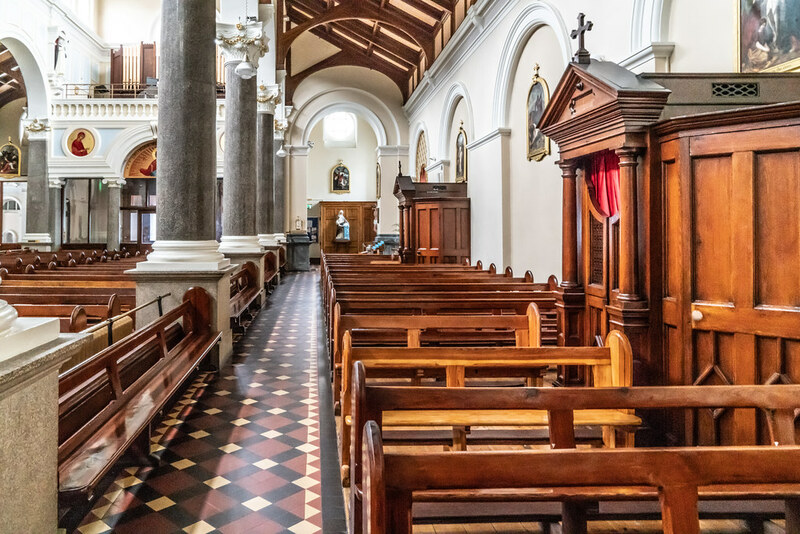 Condemned in the late twentieth century and subsequently consolidated, the church has since been very well maintained and retains most of its original form and character, together with important salient features and materials. The cut-stone work dressings throughout the composition, and particularly to the frontispiece, attest to high quality stone masonry. The interior is of considerable significance and contains many features of artistic merit, including stained glass panels, decorative plasterwork, and so on. The construction of the roof is also of technical importance. The church is prominently located on a corner site and forms an important component of a number of streetscapes at the west end of Waterford City. The tower is also a prominent landmark from Edmund Rice Bridge to the north-east.